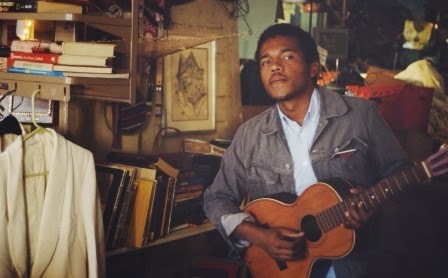 If It's Too Loud...: Benjamin Booker - "Violent Shiver"
Ever since it was announced that he was playing the Newport Folk Festival, I've been obsessed with Benjamin Booker. With only two videos on all of YouTube, you couldn't help but wonder where he came from, and listening to his music was a revelation. It combines equal parts Delta Blues and the MC5. It's a combination that doesn't break new ground while somehow sounding completely fresh and vital. Today, we finally see the premiere of a new official video from Benjamin Booker for the song "Violent Shiver." It's a song that showed up on a previous YouTube video, but it means that we're that much closer to an official release. You can even now download the song off iTunes. I absolutely can't wait for this album, or even an official release date for it. Right now, you can go over to Benjamin Booker's page on the ATO Records website for more information. We can all hope that an album release in Fall 2014 means as early in the fall as possible.